London-based Animal Defenders International's record breaking ‘Operation Lion Ark’, a rescue that began in Bolivia last November, has ended with the 25 lucky lions touching down at Denver International Airport en route to their specially constructed 80 acre enclosure at The Wild Animal Sanctuary, Denver, Colorado. Operation Lion Ark is the biggest rescue and airlift of lions ever seen. One of the majestic male lions carefully observing as he is loaded. 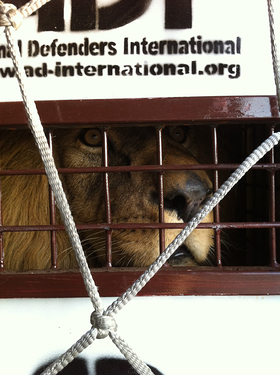 These 25 lucky lions have been on the journey of a lifetime, leaving behind suffering and deprivation from their time spent in circuses in Bolivia. Up until now, all they have known is deplorable conditions, neglect and abuse. They have been brought back from the brink and now paradise awaits them. The Lion Ark was met by Jorja Fox, CSI’s Sarah Sidle, and US celebrity TV presenter Bob Barker, whose substantial support has made the project possible so far. 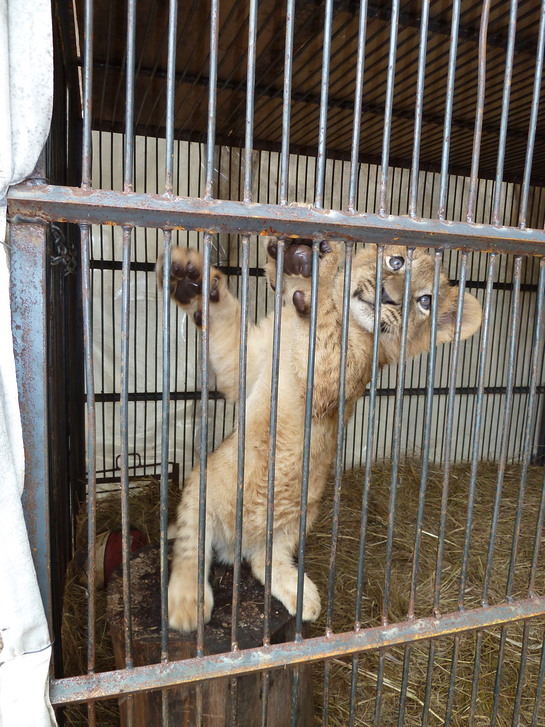 Jan Creamer, ADI’s President said: "Operation Lion Ark has brought to a roaring crescendo a perfect storm of campaigning activity over the last few years that has led to this important victory for circus animals. The rescue began with a series of dramatic seizures the length and breadth of Bolivia by Animal Defenders International who worked with the Bolivian authorities to enforce Bolivia’s Law 4040 which bans the use of animals in circuses, after uncovering the systematic abuse and neglect of circus animals across the country. Spearheaded by ADI President Jan Creamer, and Vice President Tim Phillips, the ADI team seized 25 lions, some of which were extremely malnourished and included three cubs, and nursed them back to health in their compound at Santa Cruz, under constant veterinary supervision, and the watchful eye of the police. As part of the process, 6 monkeys, a coati mundi, a deer and horse were also rescued and relocated in Bolivia or returned to the wild. In preparation for the Lion Ark arrival, a huge indoor facility has been constructed at TWAS on almost 10 acres to acclimatize the lions before they are released into huge outdoor enclosures covering 80 acres (32 hectares). The lions range from cubs of just three months old to an elderly lion aged 15. Creamer said: "From this day, there will be no more appalling scenes like the ones we witnessed of animals suffering in circuses in Bolivia. This is the first time in history that an animal protection group and a government have worked so closely and systematically to eradicate animal suffering. As well as being wonderful for the animals saved, this sets an incredibly important precedent. ADI have made the commitment to fund the care of these animals for the rest of their lives, and there will be ongoing costs for these animals for many years. ADI urgently needs the help of supporters to adopt the lions; a regular donation will help them for years to come.